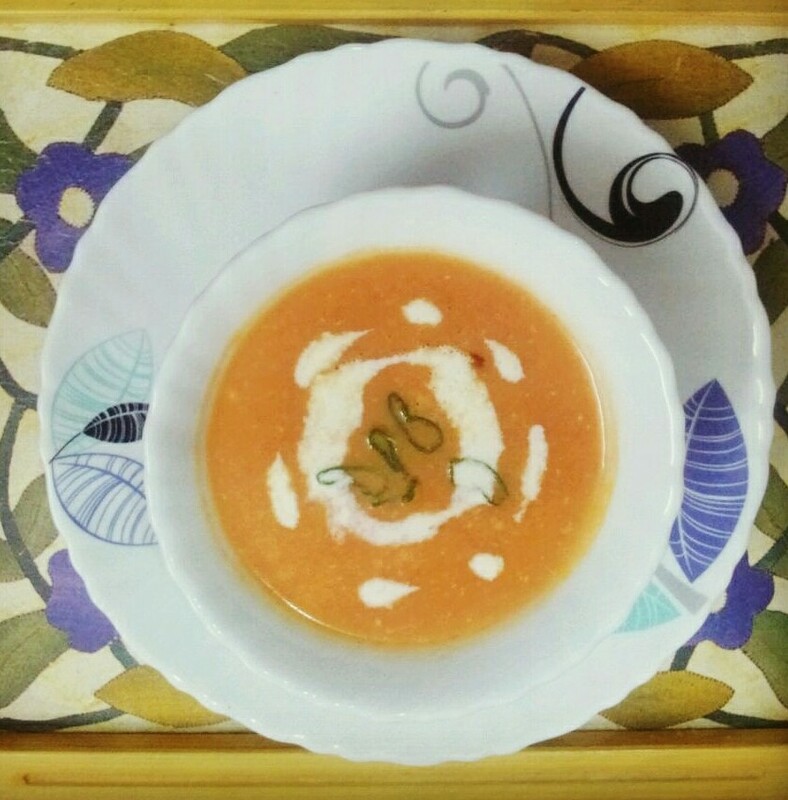 A hot tomato soup on a chilly winter evening. Who can turn away from this delicious bowl of red hued soup. It not only tingles your taste buds but contains plethora of health benefits as tomatoes are a treasure of riches when it comes to their antioxidant benefits. These help combat several diseases as well as keep your health in good shape. 1. Bone health- Vitamin K and calcium help to get healthy bones. 2. Cardiovascular health- High levels of vitamin C strengths heart and protect it from diseases like arterial blockage & stroke. 3. Prevent cancer – Antioxidants like lycopene & carotenoid can help in preventing cancer. 4. Obesity – Rich in water and fibre, it gives a feeling of fullness for longer time. 5. Anti aging – Lycopene being an antioxidant acts as an anti aging agent. Never knew a simple tomato soup could be so beneficial. … way to go….